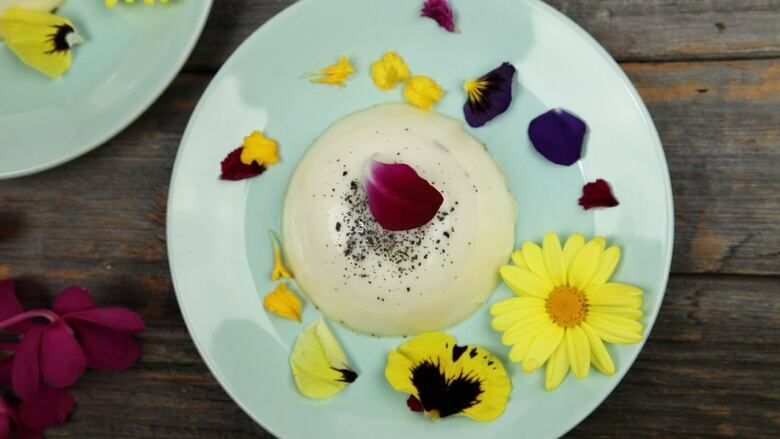 Make your guests something delizioso and Italiano with Shahir’s Panna Cotta, or “Cooked Cream”. It’s an impressive but easy to make Italian dessert similar to pudding. Spray cups or ramekins with cooking spray, then use a paper towel to wipe out most of the oil, leaving only a light residue and set aside. Place the heavy cream and sugar in a small saucepan. Scrape the seeds out of the vanilla bean, place in the pot with the cream and sugar along with the pod. Bring to a simmer over medium heat, remove from heat and allow to cool to room temperature. Pour the milk into a separate medium saucepan and sprinkle the powdered gelatin evenly over top. Let soften for 5 minutes or until the the gelatin grains look wet and slightly dissolved. Set over low heat and warm gently, whisking slowly. Do not allow the mixture to boil. Continue stirring until gelatin is fully dissolved. Remove from heat. Remove the vanilla pod from the cooled cream mixture and whisk the cream into the milk. Add the orange blossom water and salt, whisk until salt is dissolved. Pour the panna cotta mixture into the prepared ramekins. Chill for 4 hours or overnight. If unmolding, dip the ramekin or bowl into warm water for a few second to slightly melt the edges of the panna cotta. Invert onto serving plate, garnish with fruit and flowers, and enjoy!